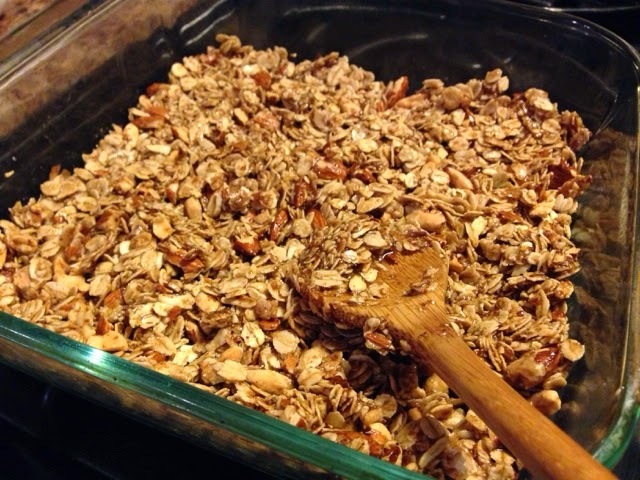 I've been wanting to make granola bars for a while but haven't done it since I make my cereal, which is kind of similar. But snacks/lunch on the go for my family is becoming more important and I don't want to have to be confined to mediocre food while out. As my girls start school in the future, I want to have fun lunch items that are tasty, inexpensive, and not processed junk. 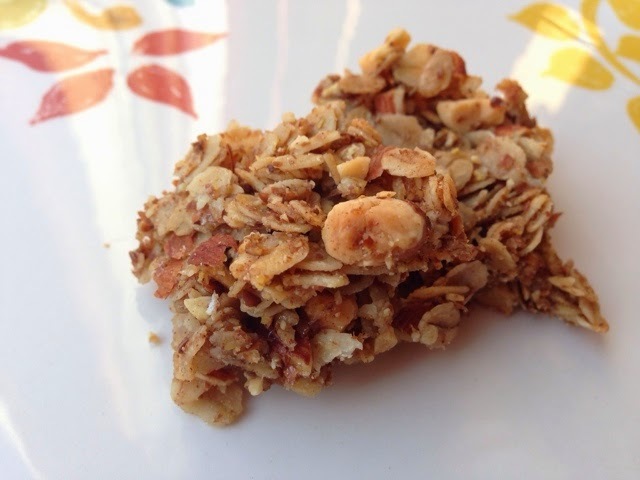 Let's face it, most granola bars are no different than candy bars. 1. 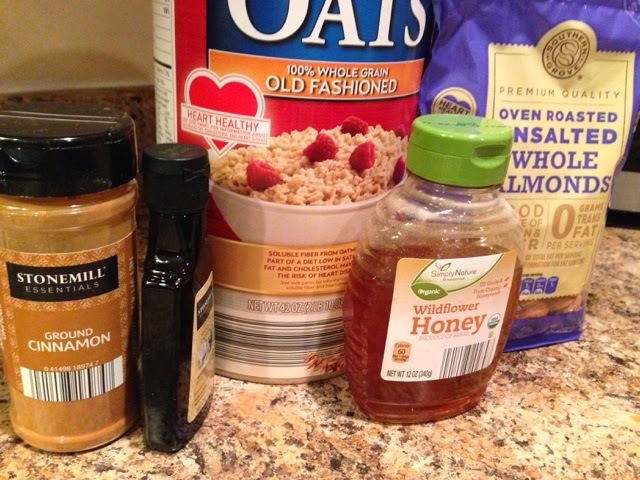 Mix oats, almonds, flaxseed, cinnamon and vanilla in medium size bowl. 2. In small saucepan, melt honey and cocnut oil together (you could probably sub olive oil for coconut oil if you never buy it). 3. Pour over dry mixture and stir. 4. Press into well-greased glass 8x8 pan. 5. Bake at 350 degrees for 15 minutes or until golden. 6. Cool for 15 minutes minutes or so to let harden a little. 7. 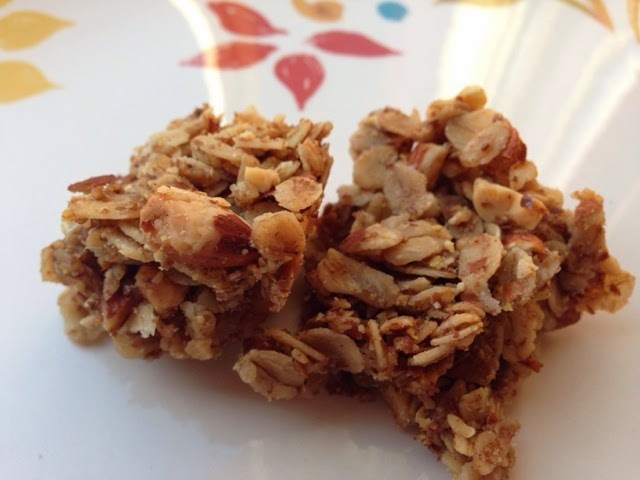 Cut into bars while still warm but more solid. 8. Cool in fridge to harden and then can be kept in fridge or room temperature.